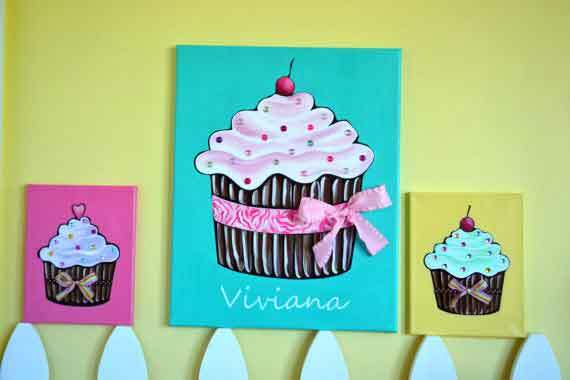 Add a little sweetness to your child's room, bakery, or any room for the cupcake lover with the "Cupcake Trio." 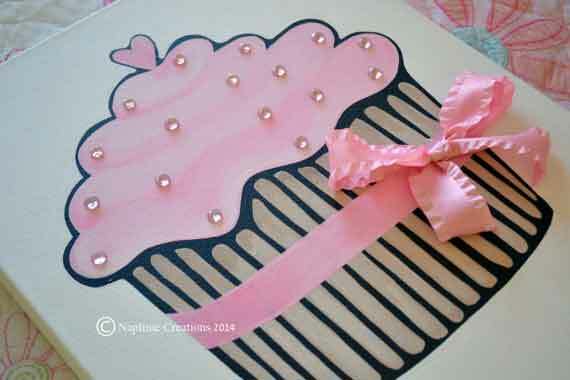 Customize your cupcakes be selecting background color, frosting and cupcake topper! This listing ***inludes*** personalization! If you would like to have your cupcake trio set personalized, please leave me the name of the child when placing your order. Message me to place your custom order or select "customize this order" on the listing. 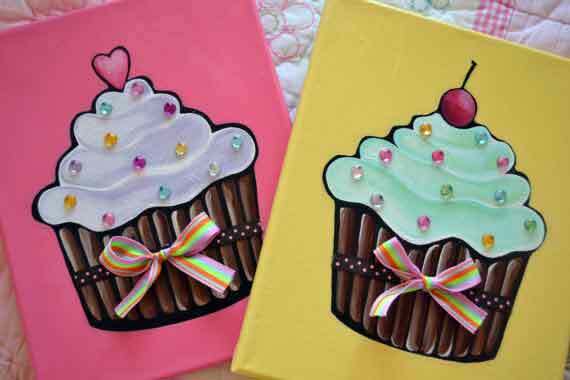 Select from background colors, cupcake colors, gems and ribbons. All canvases have a protective varnish on them. You can select a matte or gloss varnish.